Why It’s Hot: Lumen uses emerging technologies to augment the physical world and functions a spacial device. There could be some interesting applications of this approach in narrative formats. There could be interesting applications if something like this were implemented into our smartphones. 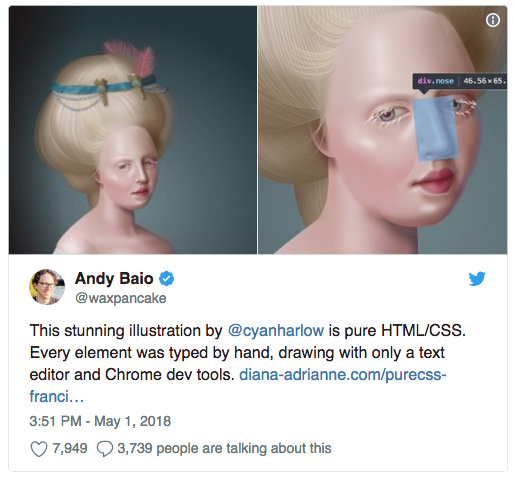 Developer Diana A Smith has been working on using only code and style sheets to create digital artwork. Each element is coded separately to make up the composite image. Why It’s Hot: Users are frequently reminded to update the browsers, but it is often unclear why it matters and what the difference will be. 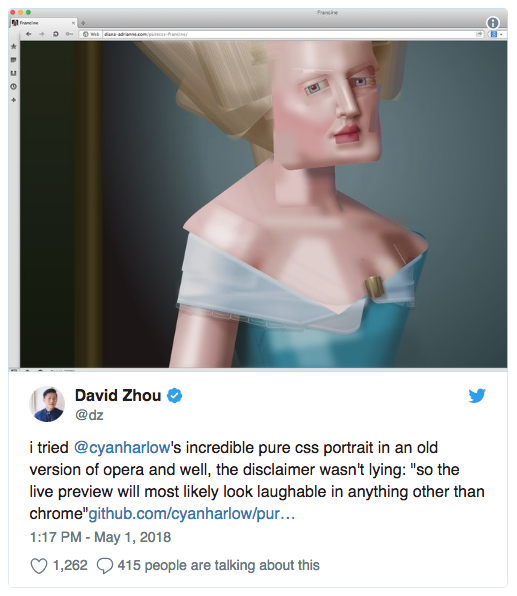 On the other hand, it’s helpful to think about how we are designing experience for users who may be using different browsers, older computers, etc rather than designing for the newest, crispest, and fastest devices. When you set a bedtime the background screen is displayed in muted tones to detract from bright notifications in the middle of the night. You will also be able to automatically set do not disturb at certain times or when you are in certain locations. Notifications from the same app will be nested to reduce as many notifications. 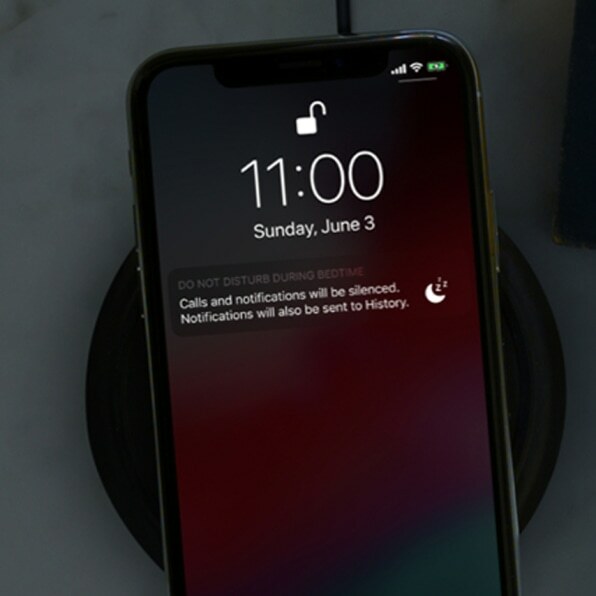 Siri will also suggest deactivating notifications from infrequently used apps. 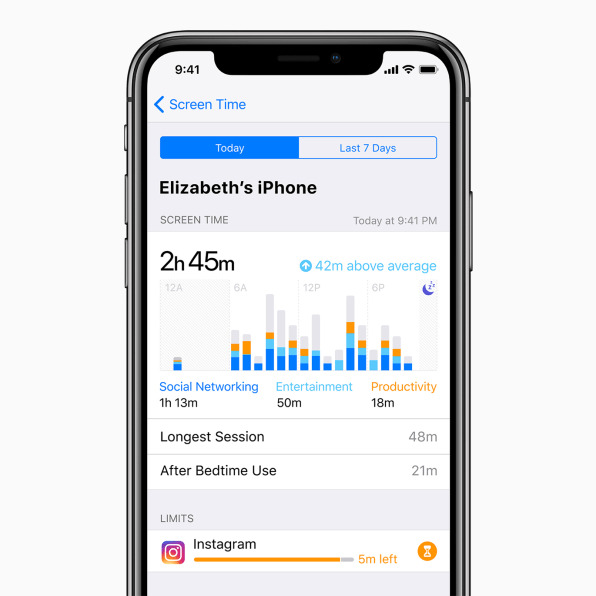 Similarly to the Google updates, users can track which apps they use and for how long as well as set time limits for apps per day. 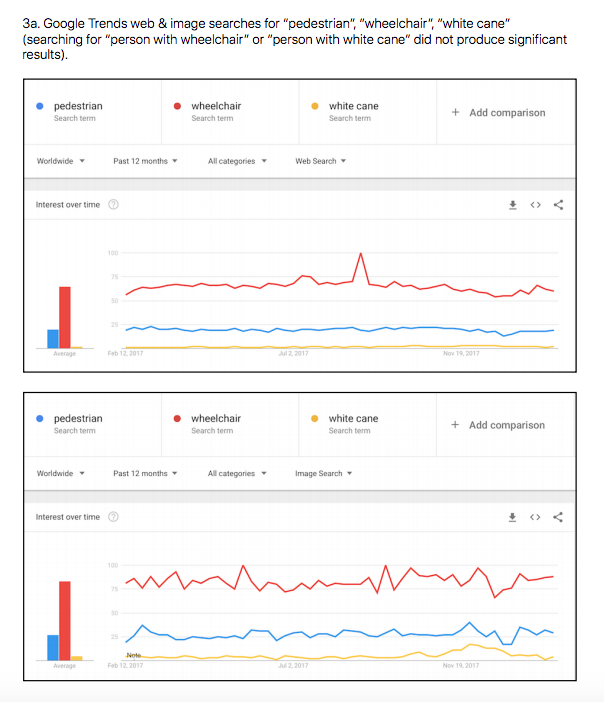 Why it’s hot: This is nothing new, since Google already announced it will release similar changes. This is another point for how reducing screen addiction is a growing trend and how this pain point is being addressed. The more I read about these new changes the more excited I am to see them implemented on my own device. 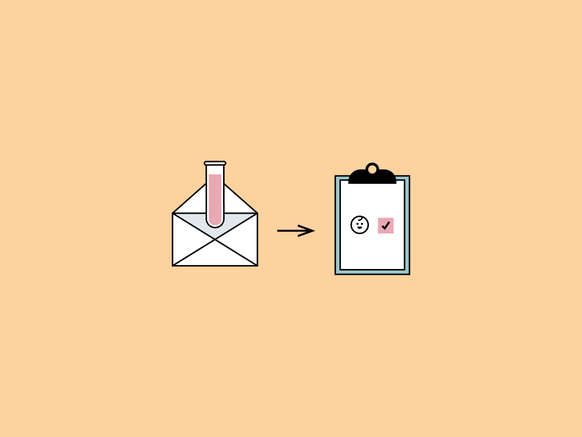 DNA testing like 23andMe and Ancestry have popularized mail in genetic testing. A new startup, Modern Fertility (MF), is taking this concept and applying it to fertility. Traditionally fertility tests can cost about $1,500. MF puts the price tag at $199 for an at home fertility test kit. Unlike genetic testing where you only take the test once, MF promotes the ability to retest periodically over the years to update your fertility profile. Why It’s Hot: Modern Fertility is aimed at using existing scientific technologies to address fertility in a changing culture. Making fertility testing more accessible will allow people more information for family planning. On the other hand, are there any risks associated with collecting and keeping samples from users? With recent developments in DNA testing and crime investigation it is clear that users may not know future uses of the samples they are submitting to these companies. Netflix’s platform has always been very focused on research and data science. They have recently launched a research site that highlights the type of research they do, such as machine learning, recommendations, experimentation and casual interface, and analytics. Each section features research articles from the Netflix blog. Why It’s Hot: Research is cool! This is a step forward in how a company is being public about the research they are doing and where they are going with their research endeavors. On the other hand, there are always some scary implications about what can be done with the research that is collected. 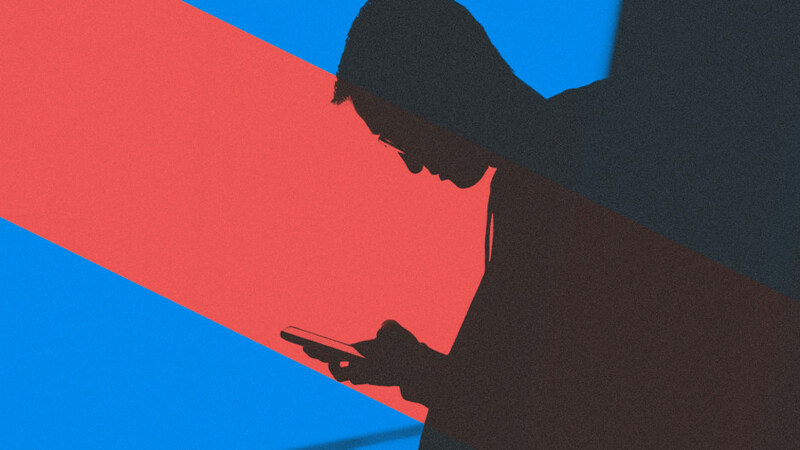 At Google IO this past week Google announced plans to help people with “digital wellness” to help people combat screen addiction – something they helped create. Why It’s Hot: This won’t solve all of our problems, but will hopefully help reduce screen time. We talk about inclusive design for websites and apps, and accessibility for VR is now being addressed as well. Video chat for deaf people on Hololens: group video chats can be difficult for people who are hard of hearing. The solution was to create an AR based speech recognition software that features a speech bubble on the video chat. This tested better than traditional captioning. Haptic Cane for VR: Microsoft Research project called a Canetroller allows blind or low vision people to navigate the virtual world. This allows users to navigate a virtual room without visual cues. This also would be a good option to help train people on using mobility canes before going out in the real world. Why It’s Hot: We are the point where accessibility is being considered for emerging technologies. The first memorial for the victims of white supremacy opened in Montgomery, Alabama at the National Memorial for Peace and Justice. 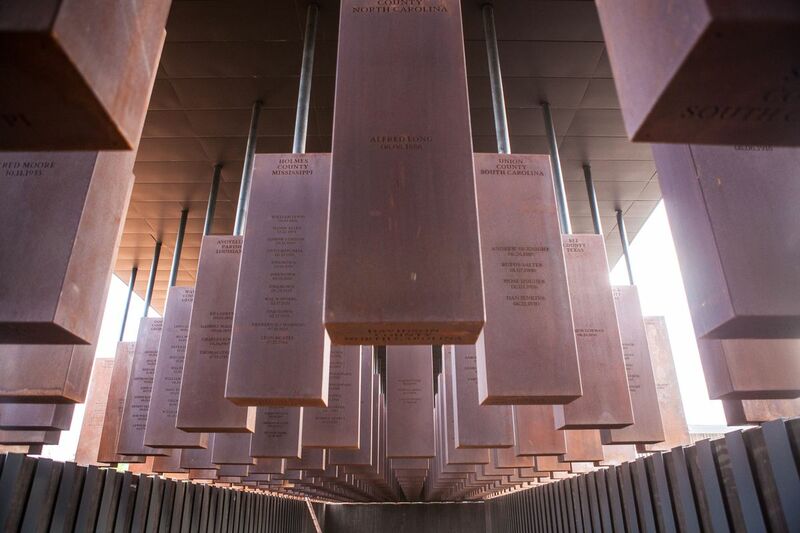 The memorial commemorates the more than 4,000 black people who were lynched. The adjoining museum, The Legacy Museum tells the stories of racial inequality from slavery to lynching to Jim Crow to today’s era of mass incarceration. Why It’s Hot: We are in a time where we are changing the way we memorialize history. More importantly, previously un-prioritized histories are being highlighted and confronted. Viz Palette was created by two designers that work at Netflix and the website lets you create and test your color palette for legibility. Specifically, you can test your palette in different formats, line weights, backgrounds, and font colors as well as see your color palette with different types of color blindness. It also lets you know if two colors are too similar. Why It’s Hot: Accessibility is always an important factor in design, and tools like this make it easier to create accessible color palettes. 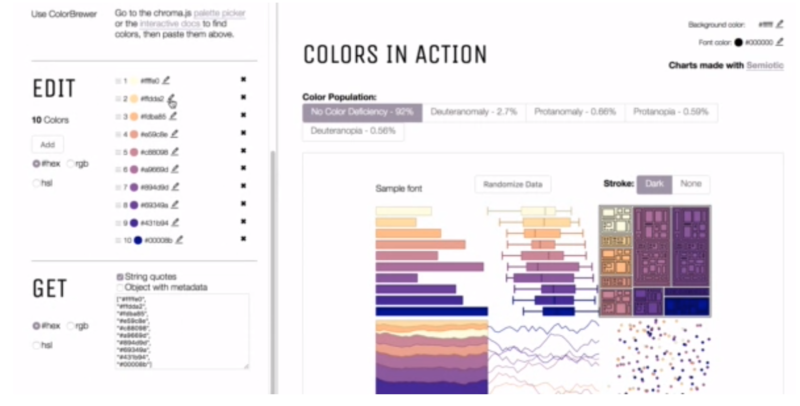 There are however, existing sites that allow you to easily check your color palette, but this integrate data visualization and calls out some more specific points such as line weights. 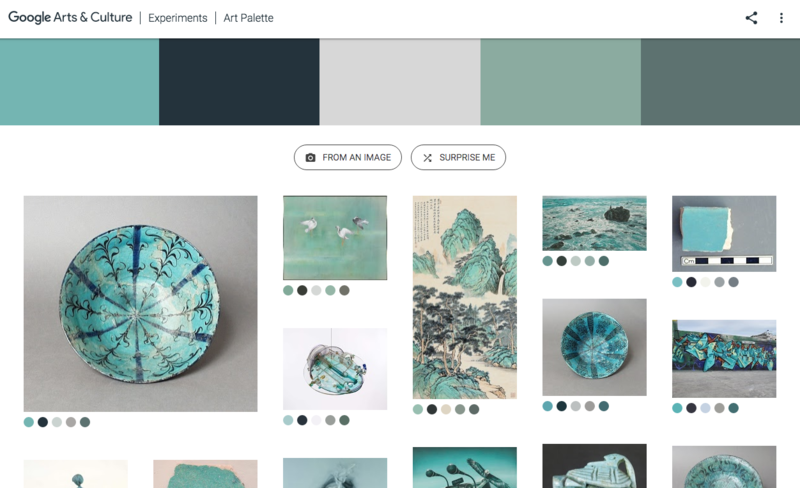 Google’s Art and Culture Experiments Art Palette is a web app tool that allows you to choose color combinations and see art with associated color ways. Alternatively, you can upload an image and see works of art w similar color schemes. 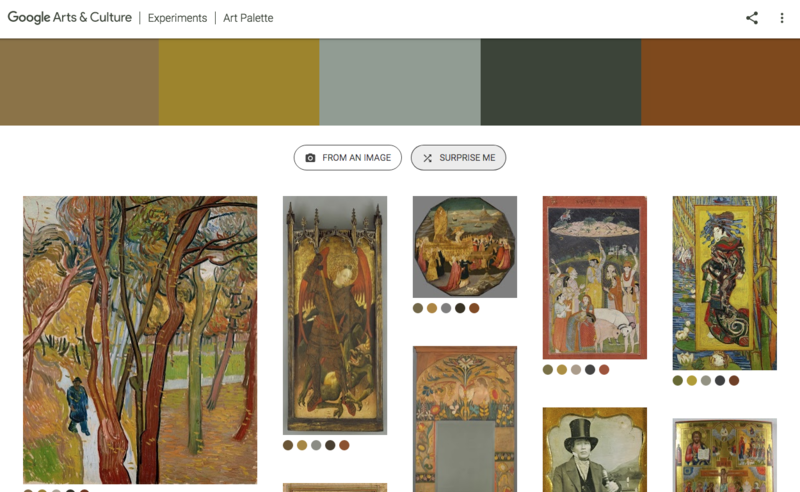 “Art Palette works as a search engine that finds artworks based on your chosen color palette. 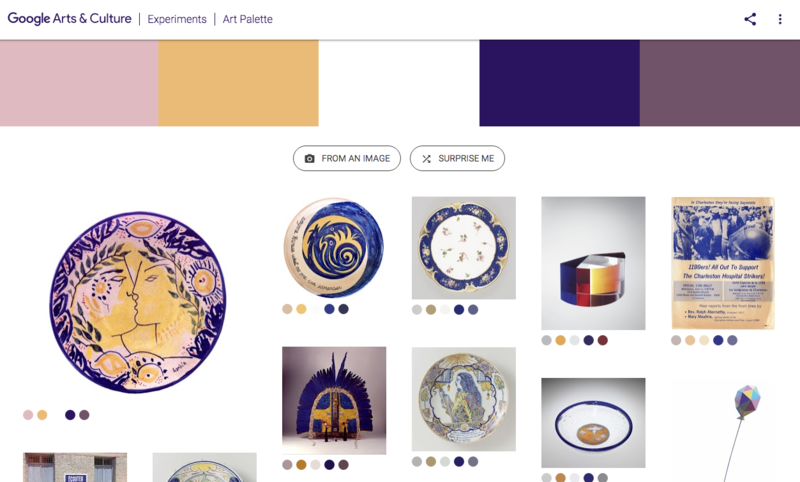 Using this tool, you can explore how the same five colors from Van Gogh’s Irises can be related to a 16th century Iranian folio or Monet’s water lilies. 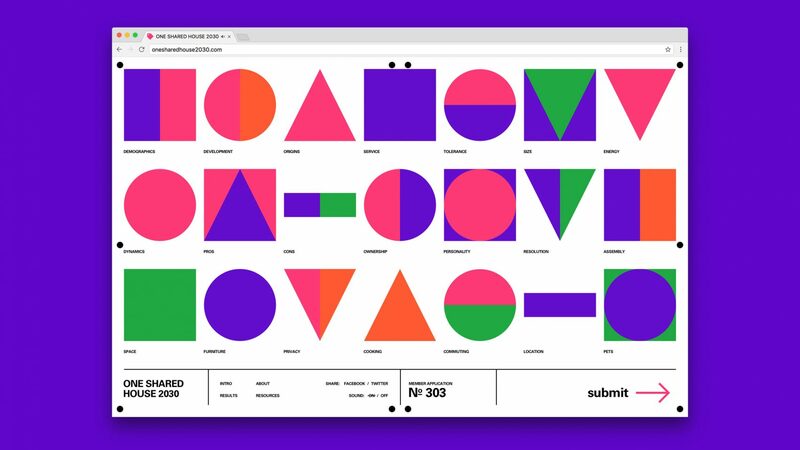 Why It’s Hot: Other than being really fun to play around with, this could be a useful tool for designers as well as for art history. 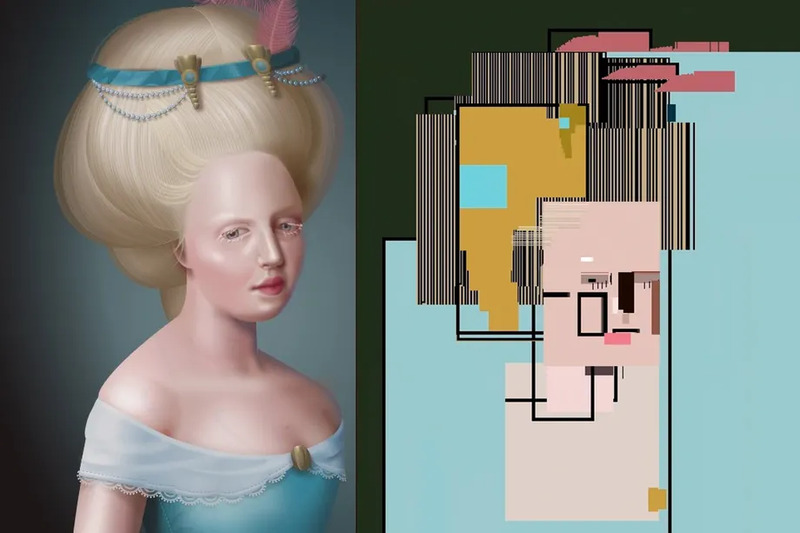 While color is only an aspect of art, this tool allows people to draw connections about art from different time periods and cultures. Researchers from Johns Hopkins recently released a report called: The Devil’s in the g-tails: Deficient letter-shape knowledge and awareness despite massive visual experience where they found that only seven people of 25 participants, or about 28%, succeeded in identifying the correct shape of a lowercase G.
Why It’s Hot: In addition to the surprising realization that you probably can’t draw a lowercase g-tail, there are interesting implication of this study about how people can see something frequently, but not retain the information. A reason for this may be how g’s are taught in school (often without the tail). Additionally, this arises questions about if younger generations using keyboards will have problems with recognizing letters and reading proficiency. 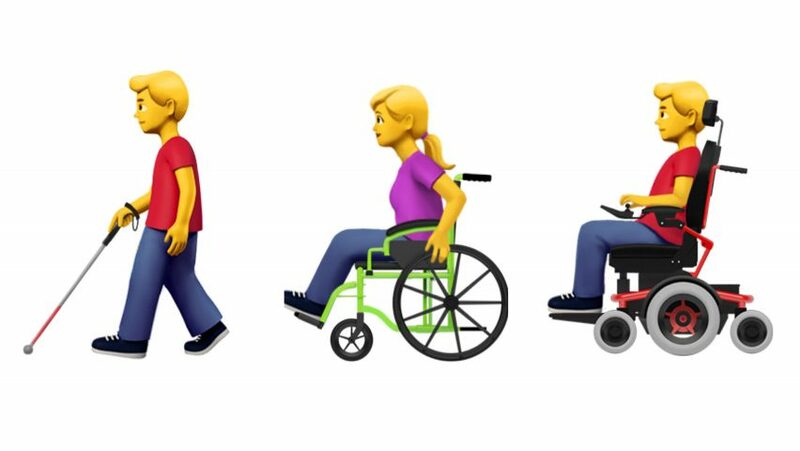 Apple recently requested 13 new inclusive emojis to be added to Unicode, the organization that reviews requests for new emojis. Some of these emojis include wheelchair users, visually impaired people using support canes, a guide dog with harness, a deaf sign, an ear with hearing aid, a prosthetic arm, a prosthetic leg, etc. Why It’s Hot:This is part of a larger ongoing movement to make users to feel represented by the emojis that are available to them. As part of Apple’s proposal they make a good case supported by data, specifically search data for certain inclusive phrases and images. In the wake of Ikea’s Place App (where you can see what a piece of furniture would look like in your space) a designer named Adam Pickard designed another application of how Ikea can use AR in tandem with their products. This app would allow users to see the instruction manual step by step in place. Why It’s Hot: This is a proactive investigation about other ways in which Ikea can use AR to alleviate pain points. The majority of this app is just a digitalized step by step instruction manual, however the moments where it animates how to screw parts in could be extremely helpful. This concept would be even more helpful if it could identify the real pieces in your space and highlight which pieces you need, what screws, etc. 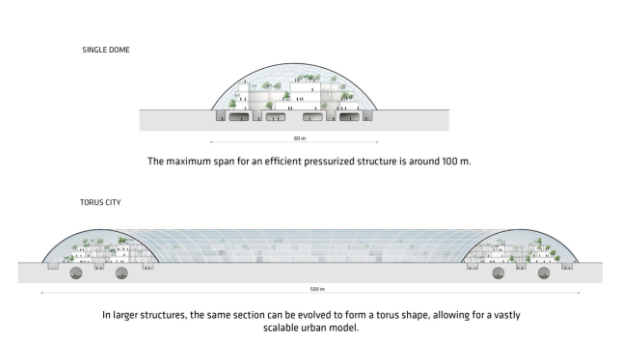 They mapped the sun’s movement over the site and decided that a circular structure would provide the most light throughout the day and across different seasons. 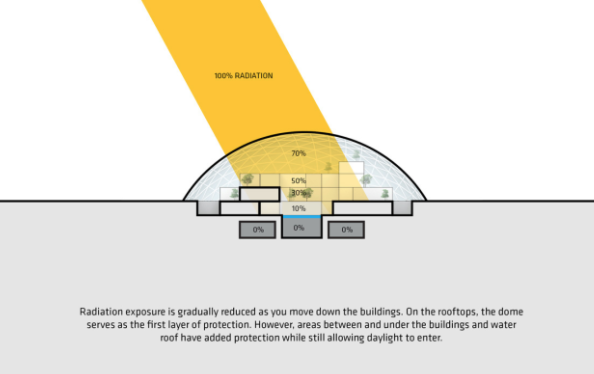 Recessed terraces shade rooms during the summer to reduce cooling systems and the large windows allow more thermal energy during colder months. 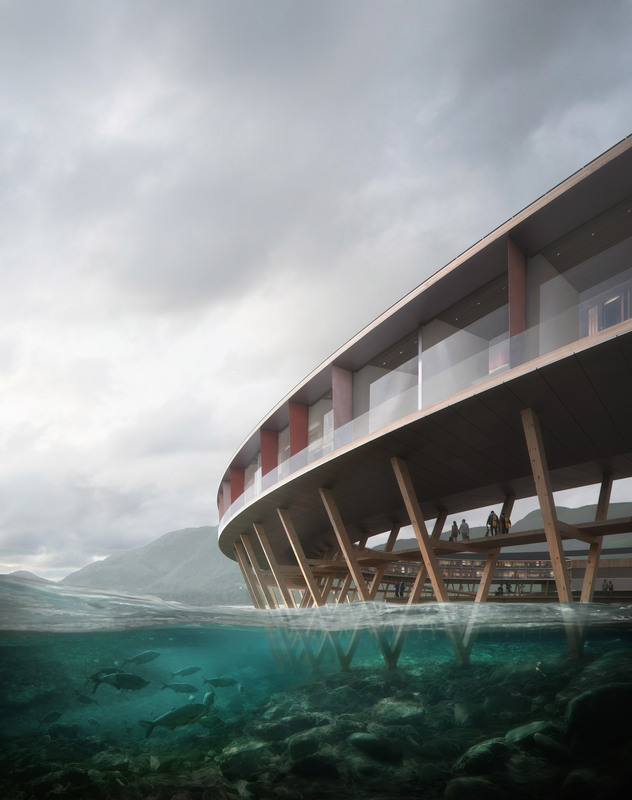 The v-shapped stilts that holds up the hotel are inspired by traditional fisherman houses in the region. 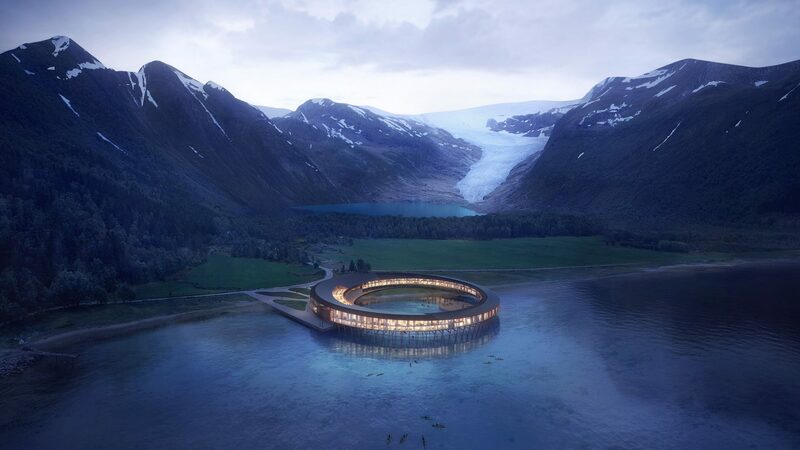 Why It’s Hot: Unlike Apple’s new campus, this hotel has been designed as a circle in function of a larger goal – to produce energy to power the building. 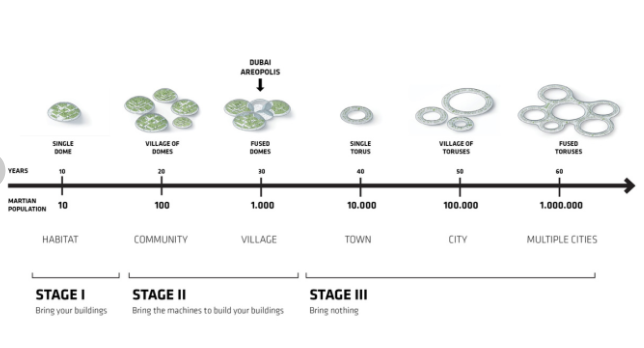 This type of approach to design and architecture is what will be needed to reduce human impact on the environment. This is a good example of how we can use new technologies like solar panels as well as traditional methods to lessen our impact on the environment. 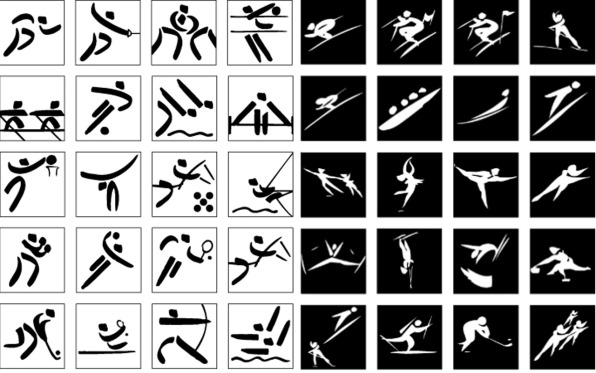 With many cultures and languages coming together in one place for the Olympics, pictograms have been important iconography to clearly indicate different events on signage, tickets, etc. 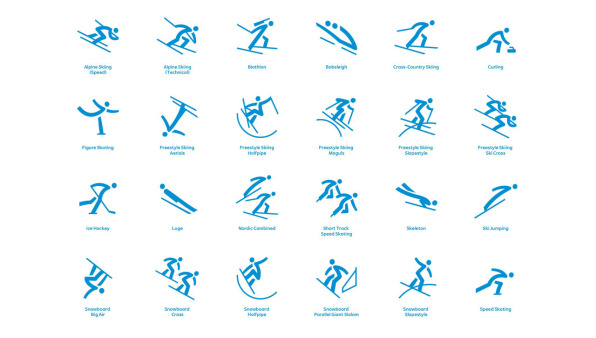 Why It’s Hot: The original Olympic pictograms created by Otl Aicher have influenced other pictograms, like the US Department of Transportation. 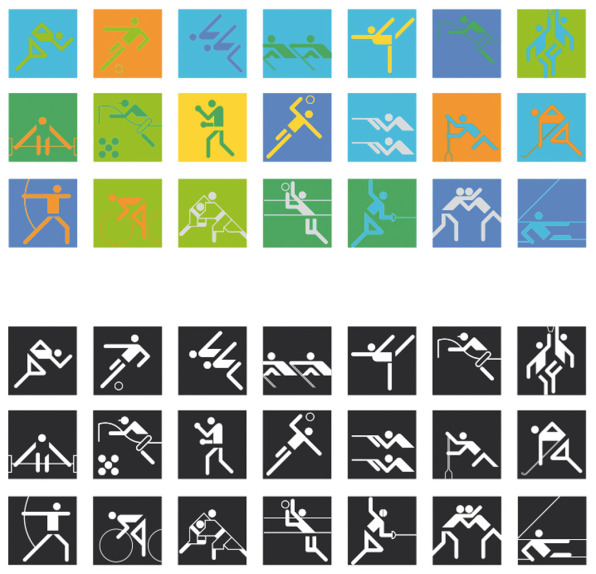 As time has gone on the pictograms represent more and more of the host city’s culture and language, which makes each set a unique expression of the time and place of that event. 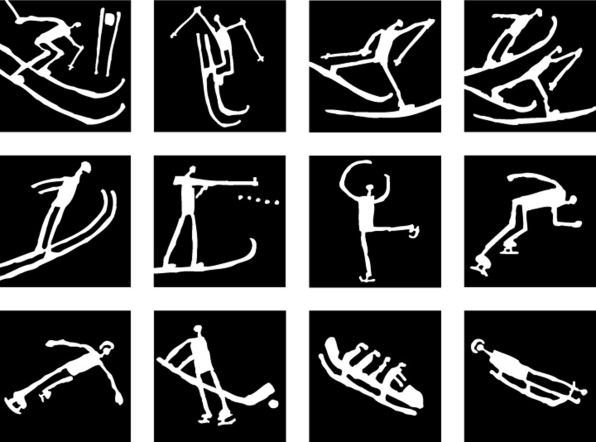 This year’s pictograms have a return to simplicity, while still being able to convey and represent South Korea’s rich language and culture. The Moment Factory, a production company that focuses on immersive environments, has created a giant game of Pong. 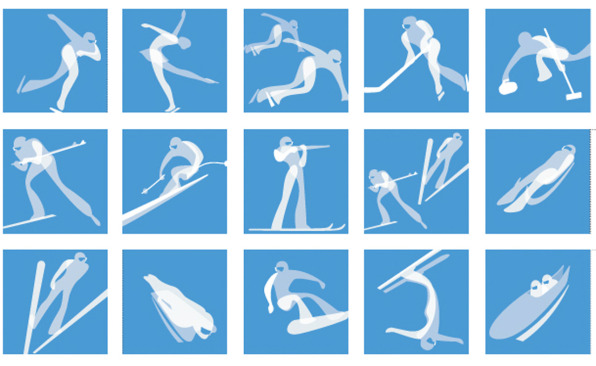 It is played by two people per side and the players are the paddles, which are controlled by running back and forth. Why It’s Hot: This is another example of life size interactive AR experiences. While not innovative in any huge way, it is a good example of how we are bridging digital and physical spaces, especially in the realm of gaming. Patagonia has been involved in a slew of politically and environmentally active campaigns, most recently their “The President Stole Your Land” campaign protecting Bear Ears National Park. They released earlier this week a new digital platform called Patagonia Action Works (I like the idea of referring to it as PAW) that connects people and environmental nonprofits, helping them get involved through events, petitions, and volunteering. Why It’s Hot: This is just the latest move Patagonia has made in effort of their social impact work and their commitment to environmental and organizing efforts is admirable and unlike many other brands we encounter. Dutch design studio, Super Local, has been working with one of Malawi’s largest hospitals to design and produce simple, durable furniture. The country has an issue with old, broken furniture that does not withstand the test of time and is not easily repaired. Super Local is helping them create a host of new, simple designs including hospital beds, room dividers, drip stands, side tables, laundry carts, and tables, trolleys, and stools for use during surgery. All of these pieces are made to be low tech, affordable, strong and locally repairable. In looking at this design challenge they identified key insights about how to simplify the bed design. For example, through their user research they discovered that having adjustable hospital beds wasn’t a priority for them. In terms of going into production, they needed good-quality materials that wouldn’t break down so fast, like stainless steel. But there wasn’t enough high quality stainless steel in Malawi, so they imported it, but then used locally sourced materials for the rest of the production process. This enables them to be able to replace and repair as time goes on. Why It’s Hot: This is a good example of how not all design innovations need to be high tech and how good user research can provide useful insights. As AI becomes ever more mainstream, more and more designers and developers will be executing AI designs. 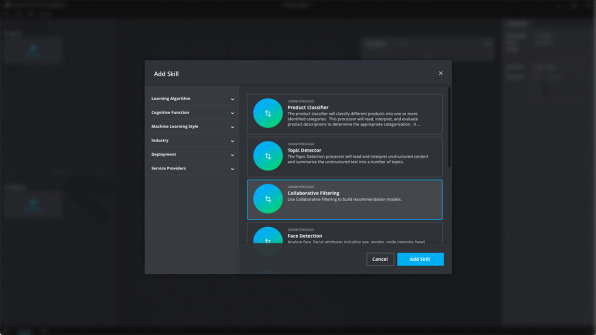 Cortex, is a new graphical interface that allows users to easily build AI. The user drags and drops “AI Skills” that can do things like sentiment analysis or natural language processing. Users can then rearrange them visually, like a mental map, to better be able to organize the AI system and show how the system is connected. 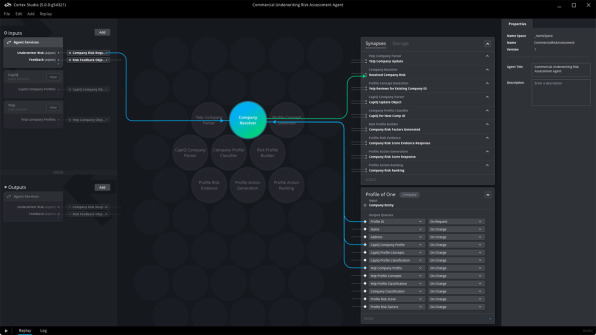 Why It’s Hot: This interface reflects the growth in AI and ultimately makes creating an AI system more accessible. Ikea’s new print ad prompts users to pee on the ad. If they are pregnant, a new price appears giving them 50% off on a new crib. To redeem this deal people still need to sign up for the Ikea family discount. Why it’s hot: This is a small example of a fun way Ikea is connecting their ads to the life events of their users. They have taken an advancement in the tech of pregnancy tests and integrated into their ads. This ad presumes that all new parents have a pregnant woman as part of the relationship, which isn’t the case. However, we often design with a particular user in mind, so is it okay to exclude or not target certain user groups? Where do we draw the line between a fun gimmicky ad and a statement about parenthood? QuakeAlert is an app currently in beta testing that sends push notifications to users for impending earthquakes. For a 4.4 Earthquake yesterday in the Bay Area it alerted two beta-testers at the University of Berkeley 2 and 5 seconds before feeling the quake. Another beta-tester in Sacramento received a notification 27 seconds before they felt tremors in their location. 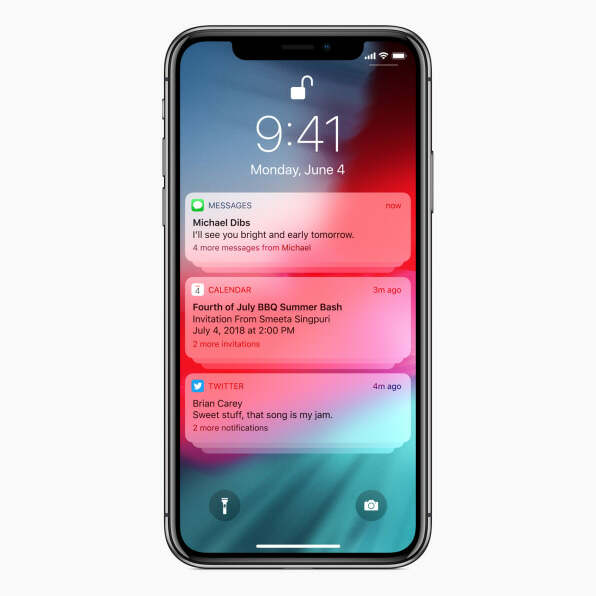 In addition to sending text alerts it can trigger safety measures for infrastructure such as stopping trains, sending elevators to the nearest door and keeping the doors open, de-pressurize gas lines, and de-energize electric lines. Why it’s Hot: Other countries such as Japan and Mexico already make use of advanced warning systems (texts and sirens) to alert people about impending quakes. The US has no current system to do so, which can in turn help save lives and infrastructure. This also seems like a good way to integrate people checking in after an earthquake to let friends and family know they are safe. As with all technology, this also means there are way to hack these systems and cause panic throughout the population. Why It’s Hot: This is another example of bringing digital interfaces into physical space. The applications of this device are very broad and captures the natural ways people have learned to interact on touch screens, and adapt them to the surrounding environment. There will certainly be new interaction patterns that develop from this type of experience. 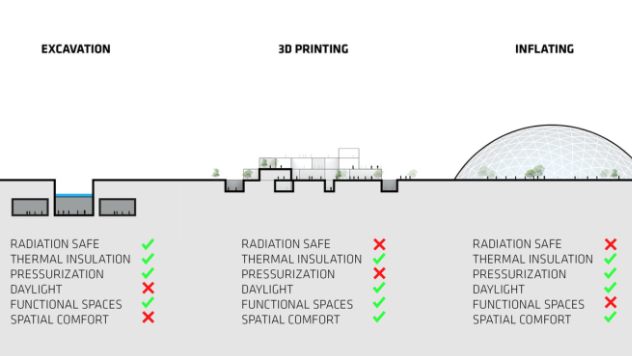 Ikea’s external design team, Space 10, and Brooklyn-based design firm Antone & Irene, have created an research study aimed at redesigning co-living for 2030 called One Shared House 2030. Questions span topics like pets, furniture, tolerance and privacy. Why It’s Hot: This study is fascinating way to gather data about innovating in an industry. It would be interesting to find out how they came up with the questions and what were some questions they didn’t include. 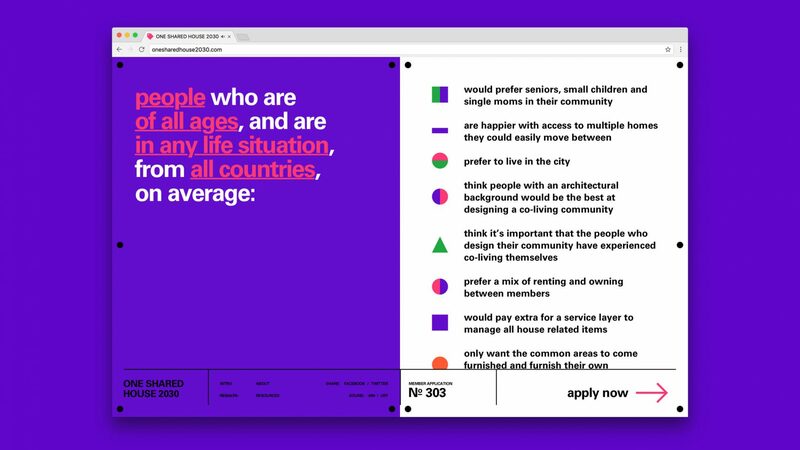 The way the data is structured allows them and users to better understand what specific demographics prefer what type of co-living. However, as always, this data needs to be viewed with a critical lens. What users say may not always be what they actually want. Furthermore, this poses the question about if existing biases about co-living are racist, sexist, or otherwise exclusionist and if so, how will that information be harnessed for the future of co-living. Amongst a myriad of other precautions being made to ensure safety in the event of a mass shooting, designers such as architects and landscape architects have also been taking measures to design with this in mind. For example, the new designs for the Sandy Hook Elementary School include doors hardened glass windows, deadbolts on doors, and an optimized landscape layout to distribute the flow of evacuees. Landscape architects and researchers on evacuation patterns have already done research and taken methods to improve exit flows. However, these designs can only take into account types of attacks that have already occurred. Unfortunately, attackers can find new ways and methods to carry out their plans. The main goal however, is to make design decisions based on research that has been done and make spaces safer for threats that we already know have happened. These measures make it less likely someone will choose the site as another area to attack. There have been some very interesting evacuation and crowd simulators to study how people evacuate spaces in mass. Why it’s hot: With the number of recent mass shootings and public attacks, group safety is extremely important for designers to take into account for new or renovated spaces. 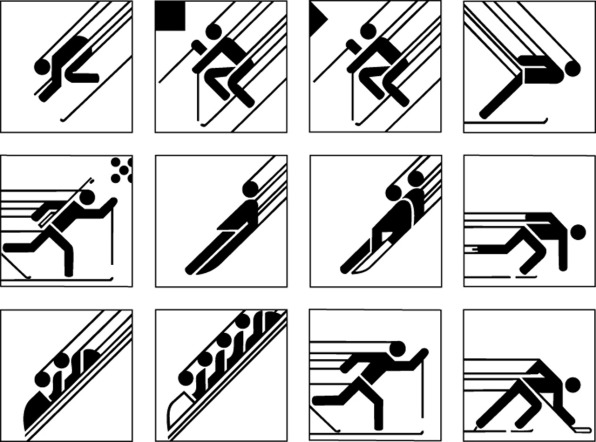 The type of research that is done about evacuation patterns reveals insights into human behaviors that designers can utilize to better design safe spaces. Unlike digital design, iterations are less frequent and more costly, so doing research up front and spending the time to think through user journeys and patterns is of utmost importance. Amidst the range of smart products coming to market, it may not appear that a smart coffee cup has much to offer. 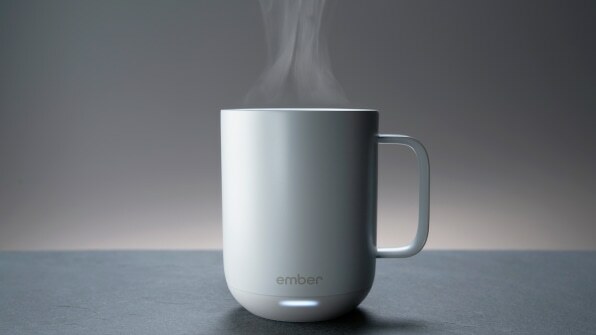 Ember, a L.A.-based startup has been making temperature controlled products and have recently released their latest product: a smart coffee cup. The cup connects with a mobile device through bluetooth and through an app the user can set the desired temperature of their beverage. The mug maintains the set temperature for 2 hours of sitting idle (it detects if you move it) and then goes to sleep as a safety measure. To recharge the cup, it needs to be placed on-top of a chargeable coaster. Moving forward, Ember wants to continue to expand their products to plates, serving ware, baby bottles, and glassware for mixologists. Why it’s Hot: Ember is focusing on creating products that “add technology to them without letting that technology take anything away from the original experience”. For example, Ember ensured the cup had the same curve of the lip and weight as a regular ceramic mug, as well as the same sound when placing it on a table. By focusing on these small details, it appears as if Ember has created a product that integrates technology in a subtle way the augments the experience without disrupting it. Strava, the athletic tracking app, was originally geared towards athletes and grew its user base amongst commuters, particularly cyclists. Currently about half of the activities recorded on the app are commutes. Back in 2013, Strava launched a visualization tool aimed at engaging users— a heat map showing the frequency of routes around the world. While originally intended for users, city planners and policy makers became very interested in this data to better support infrastructure recommendations. This resulted in a branch being created in the company called Strava Metro, as a way to harness the data being collected. Previously city planners used manual counters to record pedestrian and cycling traffic. This past week Strava has released an iteration to their heatmap visualizations, growing in types of activities. Why it’s hot: This is a good example of unintended uses of data and unexpected user groups. While there is always reason to be wary of companies selling personal data, Strava is at least acknowledging their biases in their data (such as the facts that not everyone in a city uses their app and not everyone has a smartphone). They also allows users to make their activities private and provide a clear and robust privacy guide. The data that is collected is aggregated and anonymized. In anticipation of the long-awaited second season of Stranger Things, there have been a flurry of ads, games, and branded content getting watchers eager for the season’s release. Netflix and Google have collaborated to create a Google Home voice game where the user talks to the different characters from the show, with the aim of joining the main characters in the Hawkins AV club. Since Stranger Things is centered off of 80’s pop culture, the idea for a voice interface game came from the idea of walkie talkies. Why It’s Hot: Voice interfaces are still evolving in the types of branded content they can deliver. Stranger Things in particular is able to use new technology to mimic a more analog technology. This is a good example of how users can continue to interact with a TV show storyline that pushes past traditional screens. 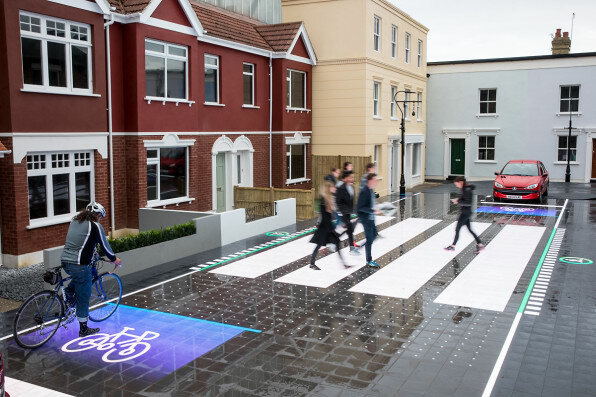 Umbrellium, a London-based design firm, created a prototype of a new, digital cross walk that embeds LED lights in strong high-impact plastic that can withstand the weight and impact of cars. When raining or if a child runs into the road, the crosswalk creates a larger buffer zone. Near a school, the crossing could create a larger buffer zone when a polluting vehicle is waiting. Early in the morning, when few pedestrians are out, the crossing won’t appear until someone approaches. The crosswalk will adapt over time to the natural path and shortcuts that pedestrians take. Why It’s Hot: This prototype is still in the beginning stages, but the design firm seems to be on the mark about how to use research and machine learning to create an adaptive system that reflects the variety of needs of a crosswalk and prioritizes the pedestrian. As they continue to develop this prototype they are planning to expand its capabilities, such as providing audible signals for the visually impaired. While we’ve talked about the projects in the U.A.E. to study the effects of how humans could live on Mars, an article by Fast Company this week takes a deeper dive into the architects who are imagining the structure and design system. 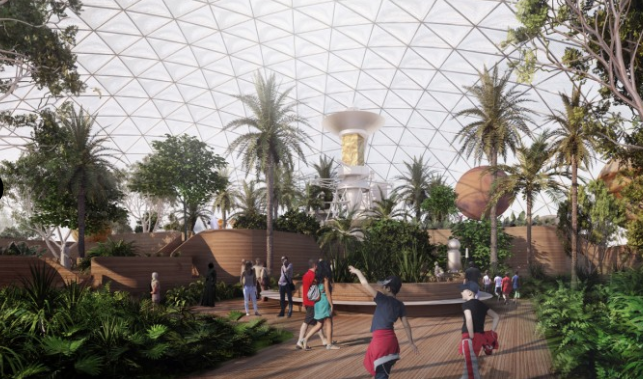 Bjarke Ingles Group (BIG), a Copenhagen architecture firm, is beginning the design process for prototypes for Martian colonies. 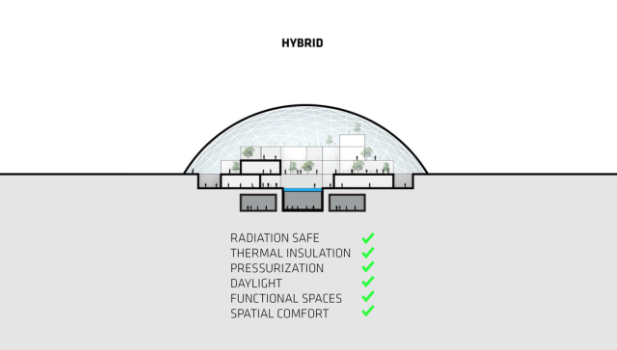 BIG is taking into account site specificity and designing a system that accommodates for climate and resources while also being able to scale and become self sustaining. 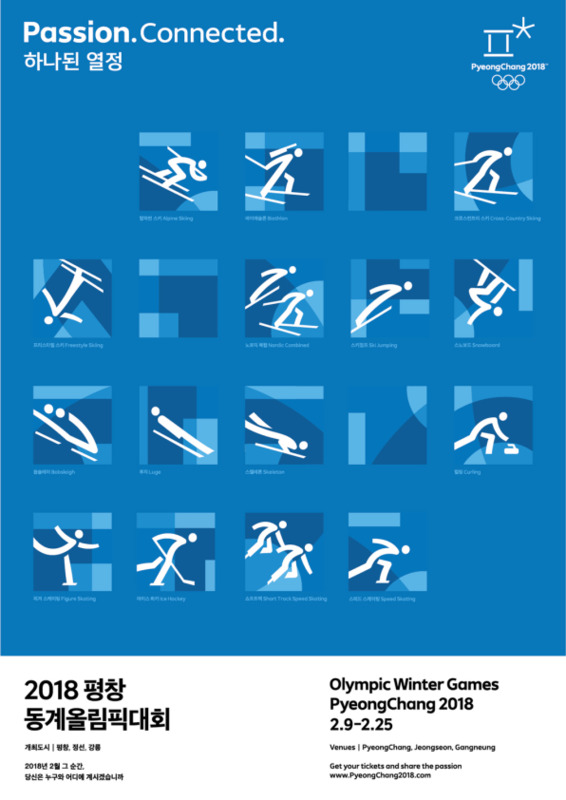 BIG is known for their simple and communicative diagrams that explain the thought process of their designs. Here is a series that shows the the ways they are planning to accommodate for the restrictions of life on Mars. They also show how this design system is scalable over time. 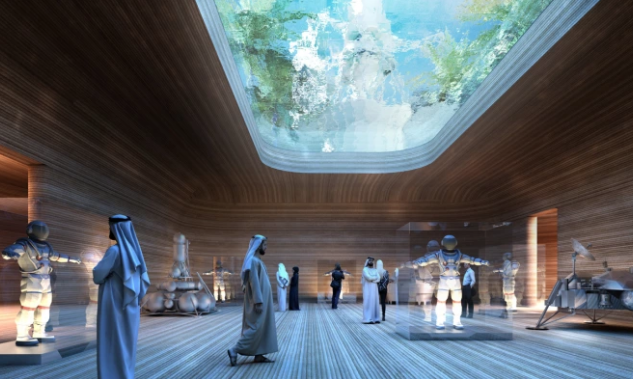 Why It’s Hot: The science behind this Mars project is fascinating, but the design and architecture is as engaging. These architects are conceptualizing a new architectural paradigm. They are utilizing the principles of design thinking to take into account the business and user needs and pain points. Why It’s Hot: This technology allows people to access hard to get and potentially dangerous to areas more safely and efficiently. The fact that this technology can be applied to both micro and macro situations opens many possibilities.